The 3DR solo is one of the best examples of the excellent industrial product; it can record footage with amazing results in the air. It possesses so many simple yet powerful controls and users whether they are professionals or beginners can take full advantage of its incredible features. 3DR solo is one of the best product for cinematographers as it can work on aerial shoot with breathtaking clarity. Comes with Gimbal Stabilization and it works with GoPro cameras. Offers repetition with smart shots. Provides automated and smooth adjustment facility for the gimbal. Return to home feature added. Can be connected with android and iOS devices using dedicated application. It offers very short battery life and takes too long to get charged. People find its GPS system little spotty. Drifts are observed during hovers. The 3DR solo drone is designed to serve with amazing aerial photography functions that is why it is one of the most preferred drones by cinematographers. One can easily connect it with GoPro cameras to get stunning shots on height. But the downside is its short battery life and weak GPS. People call 3DR Solo one of the most impressive drone with minimal complexities in design. It is the best product for cinematographic needs and you could easily imagine it hovering on the top to capture scenes for Hollywood movies. You will find a 5200mAh battery on top portion of this drone, located near power button. It appears little heavier with the gimbal, camera and battery installation, the overall weight goes up to 3.35 pounds. Note that, you need to get your drone registered with FAA to organise its flights because the weight goes above 0.5 pounds limit. You will find indicating LEDs on this device that keep on indicating full status during its flights and they can be observed in day light too. Users need to connect this device with a smartphone or iOS device to avail full control as well as to get live preview of shoots. Solo makes use of a very heavy and large battery that has 5200 mAh rating and can serve users up to 22 minutes in air. This is average rating for a drone unit and is comparable to popular DJI Phantom model that offers about 28 minute flight time. The battery takes about 70 minutes to get fully charged so you may need to wait so long to make it ready for the next flight. You cannot connect any third party charged to this device and also third party batteries are not supported. If you want to buy the spare batteries from 3DR then you need to pay $149/battery. This device possesses very simple and intuitive controls for flight with automated landing and takeoff feature. When you are ready for the flight, switch your drone and wait for one minute so that it can activate the GPS system and then press fly button. It will immediately move in the air and hover at about 4 feel height from ground. 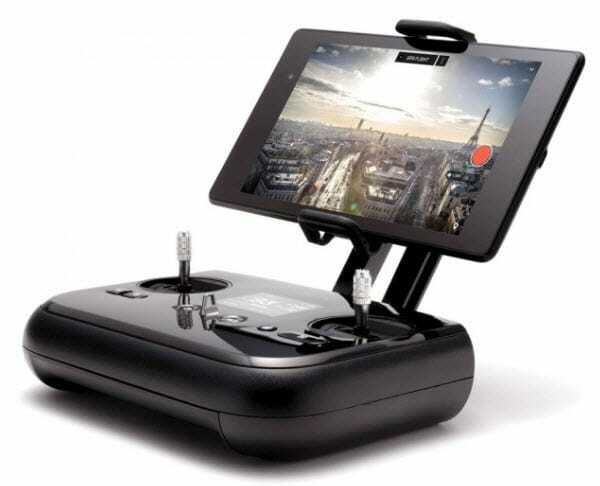 There are numerous flight modes over which users can easily switch from application: four video modes and five advanced flight modes. If you are a beginner in the world of drones then you may probably love its autonomous flying feature. In this mode, drone takes all flight decisions itself instead of depending on application based controls. The 3DR solo controller appears trendy with just two joysticks that offer direct control to acceleration, yaw, pitch and roll. The fly button can be accessed for initiated automated landing and takeoff. A tiny screen is provided to display continuous information about battery condition and telemetry data. One additional knob is available for adjustments of camera angle controls. Other then this you will find one customizable button to activate autonomous flight mode. It also provides one pause button that helps users to make their drone stable in air. All other controls can be managed from application. If you need to record videos or stills in air using your drone then you need to invest on one additional product. Buy a GoPro camera for your drone and soon it will become able to get best aerial shots for you. This camera is connected to drone via control and HDMI cable and all the captured shots are sent back to drone as well as to the controlling application. You can also change device settings via application. 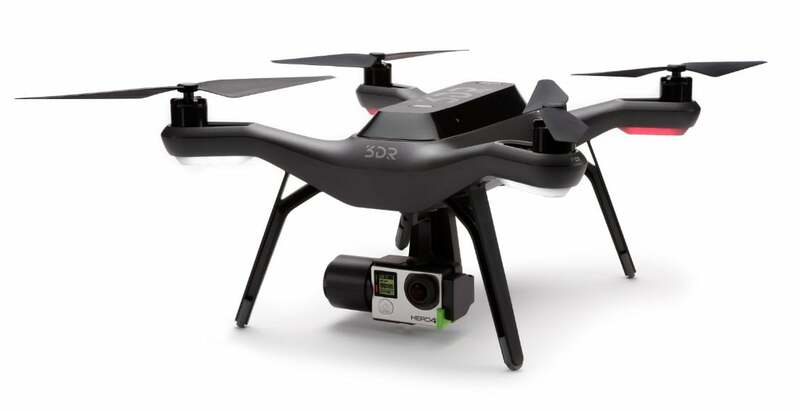 3DR solo is compatible with GoPro Hero 3+ and 4 and they allow users to shoot 4K videos at 60 fps frame rate with ease. One can also make adjustments for frame rate as well as resolution from application to have customized control over videos. You will be glad to know that 3DR solo is a repairable drone and 3DR keeps on selling all parts for this product. You will get everything ranging from rotor blades to quadcoper legs at reasonable price range. Everything is managed with easy to replace mode where users can easily take the old faulty parts out and new ones can be placed inside within very less time. All the rotors have colour coding on them so that users can easily assemble them at right locations. Most of the users review that few parts of this drone are fragile. Commonly, rotor blades demand replacements as they get damaged with crashes and if your drone hits the ground very hard then you may also need to replace its frame. But the process of replacement is very easy.